Do you need a wonderful new way to cozy up during Savasana? How about something to keep you warm on your way to work during the winter months? Then this week’s giveaway is perfect for you, ‘cause we’re giving away the signature DOYOUYOGA “Breathe” sweatshirt! How to Join: It’s easy! Just leave a comment below. Remember to breathe and take time for yourself while wearing this sweatshirt. Whether that’s in your yoga class or cozied up on the couch with a good book, this sweatshirt will keep you calm and collected, as well as super warm! 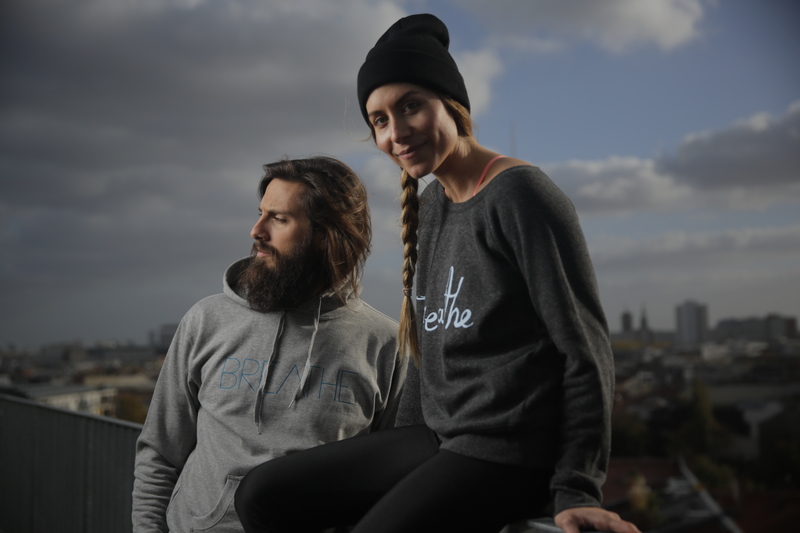 The most popular product in the DOYOUYOGA STORE, the “Breathe” sweatshirt is great for any occasion. Choose from either the women's wideneck sweatshirt in dark grey, light blue, or light grey, or the men's hooded light grey sweatshirt. Great for the dedicated yoga practitioner and non-yogi alike, comment below to make it yours! Three (3) randomly selected users will be chosen to win one (1) “Breathe” sweatshirt of their choice. The giveaway runs from Monday, January 18th, to Friday, January 23rd, so make sure to comment below to enter! If you can’t wait for the giveaway to be over to get your hands on an awesome DOYOUYOGA “Breathe” sweatshirt, head over to the DOYOUYOGA STORE and get 10% off! Congratulations to @kafreenj, @zveryshka, and @ninaahoi for winning this week's giveaway!